This companion study guide draws on the stories in A Look at Life from a Deer Stand to encourage men to deepen their spiritual walk with the Lord and discover how biblical truths and wisdom can make their lives richer and more meaningful. By focusing on the outdoors, men of all ages will enjoy discovering new insights about God, Jesus, and the Holy Spirit. 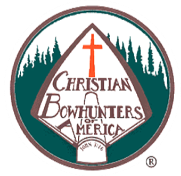 Short prayers, questions that combine hunting and biblical wisdom to promote growth, and discussions that center on being in the woods encourage men to share their own experiences and faith. Perfect for individuals and small groups. Word pictures are powerful communicators. In the period of history in which the Bible was written, bows and arrows were in every household and every person was intimately familiar with their making and use. They were therefore used in object lessons throughout scripture. The author brings to light the archery terms in the Bible from the historical, picturesque perspective in which they were originally written and understood. Some topics covered include: Raising kids, Spending time with loved ones, Why we face trials and difficulties, How does God see us, How should we see each other, Strength for troubled times, Missing the mark of God, Running out of time, How to deal with temptations and How to grow in the midst of struggles. A great discussion book for classes and group studies.